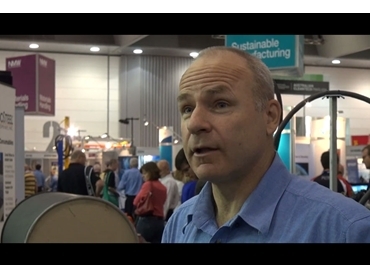 While visiting National Manufacturing Week 2013, Ferret.com.au spoke with Australian welding equipment distributer SMENCO about two of the company’s flagship products. In the video embedded below, we look at SMENCO’s Australian made MiCut CNC profile cutter and the Melt Tools MeltView 100 camera. Based in Melbourne with offices in Sydney, Brisbane and Perth, SMENCO distributes some of the world’s leading welding equipment brands including Fronius and Messer. The company stocks a variety of welding products, welding machines and plasma cutting equipment. The MiCut range of CNC profile cutters is designed and built in Australia by a small Melbourne metal manufacturer. These competitive oxy plasma cutters offer exceptional accuracy and robustness in their class and are easy to install, operate and maintain. MiCut CNC profile cutters are available in a choice of two models: the 1212 with a cutting area of 1230mm x 1230mm and the 1224 with a cutting area of 1230mm x 2460mm. MiCut’s unique backlash gear technology and high quality precision tool steel gear racks with ground gears ensure accuracy matched to precision tool steel gear racks and a patent anti-backlash drive system design. The MeltView 100 camera is used for the visual monitoring of automatic welding processes. Utilising state-of-the-art high dynamix range sensor technology, it provides a clear image of the weld seam, weld pool, filler-wire and arc. reduces operator fatigue and exposure. A video showing examples of the output of the MeltView 100 camera and others in the range is embedded below.